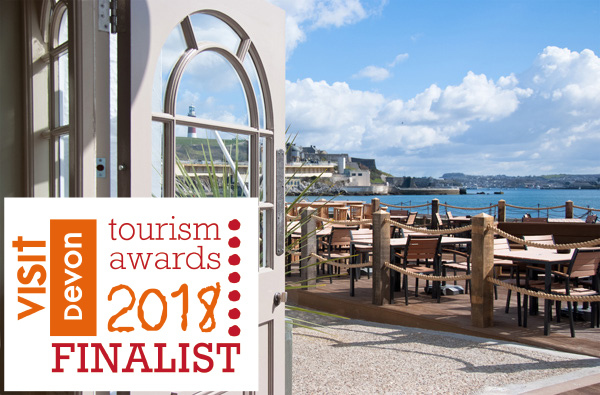 We are excited to be named as a finalist in the Tourism Pub of the Year category in the Devon Tourism Awards! This means we are guaranteed to come away with a gold, silver or bronze at the award ceremony on 22nd November 2018. “This is a terrific achievement for the team here at the Waterfront,’ said Steve Bellman who, with John Milan, took over the waterside business in 2015 after a complete refurbishment following serious storm damage the previous year. Successful businesses in the Devon Awards will be fast-tracked into the South West Tourism Excellence Awards in February 2019 and possibly invited to represent Devon in the 2019 National VisitEngland Awards. Fingers crossed for 22nd November!